A lifelong conservative, I am a Vietnam-era military veteran with experience as an intelligence analyst and report writer, editor of Windjammer, an overseas naval newsletter, and a graduate of Regents College in New York. In August 1996, I founded BrotherWatch, a newsletter which examines political, social, cultural and religious issues from a Christian conservative perspective. It has featured interviews with people across the political spectrum, from Alan Keyes to Alan Colmes. I was editor of Transformation Press, the flagship publication of Transformation Christian Ministries, from 1996 to 1998. I have published articles in The Lambda Report, The Washington Monthly, The Palladium-Item, The Worldwide News, The Last Ditch, The Maryland Star and Expanse magazine, and my letters to the editor have been published in The Washington Times, on MSNBC, and on the Fox News Channel. As a former lay preacher for New Life Fellowship in Baltimore, Maryland, I wrote and narrated several Christmas and Easter plays, oversaw small group prayer meetings, and gave sermons and other presentations to the congregation. I am a signatory of The Manhattan Declaration and a member of the Vast Right-Wing Conspiracy. I have appeared on numerous radio talk shows, including The Lonesome Charlie Show, The Joyce Kaufman Show, Louisianna Live with Jim Engster, The Chris Bowman Show, The Richard Kaffenberger Show, Talk of the Town with Evie Ybarra, The Louie Free Show, The Jeff Katz Show, Talkline with Doug Graham, the Doug Stephan Show, Bert Lee Show, The Frank Beckmann Show, Michelson in the Morning, The Brian Shaw Show, The Hal Ginsberg Show, and Basham & Cornell. There is hope, even in these turbulent times. The spirit of the world is divisive, angry, hateful and racist. Those forces can deeply affect how we view ourselves and those around us. But looking to Jesus brings us clarity, charity and peace. Increasing racial tensions can quickly resurrect old wounds and cause them to burn with a vengeance. We can find bitterness an easy path to take, but it is one which wounds us even more deeply. In our broken world, we are all wounded, often deeply, by the differences that divide us. Racism – and other divisive beliefs and attitudes – permeate this world, wounding and dividing us. But we can be at peace – and be peacemakers – in the midst of this turmoil. Jesus rejected racism and identity politics. In Him, we “are all one” – transcending all racial, class and gender distinctions. Jesus prayed to our Father: “ I have given them the glory that you gave me, that they may be one as we are one – I in them and you in me – so that they may be brought to complete unity” (John 17:22-23). How is that possible? Because we have Christ incarnate in us. The glory Jesus gave us is Himself. We are a new creation in Jesus Christ, who reconciled us to God and “gave us the ministry of reconciliation” (2 Corinthians 5:17-18). Now, we can have healing in our hearts and in our relationships through Jesus Christ. Jesus can – and will – heal our deepest wounds and soften the hardness of our own hearts. At the cross, we see other people by the value of His blood. We see people of infinite worth in God’s eyes. “For God so loved the world that he gave his one and only Son, that whoever believes in him shall not perish but have eternal life” (John 3:16). We all need transformed hearts that are redeemed by the blood of Jesus Christ. It is especially at troubled times like these that we must listen to and talk with one another. In so doing – in extending the grace, love and forgiveness of God to others – we minister to them and bring reconciliation. Let us not get caught up in the superficial, the outward appearance, but rather look to one another as equals – brothers and sisters of Christ who are all equal at the foot of the cross. Let us love one another, as God loves us. This entry was posted in Uncategorized and tagged 2 Corinthians 5:17-18, freedom, Galatians 3:28, identity politics, John 17:22-23, John 3:16, love, one in Christ, peace, racism on September 1, 2017 by BrotherWatch. Yes, We, the People, have spoken. Will those we have elected actually fulfill their oaths and keep their promises? Will they put America First? This week’s Time magazine cover asks the question: “Do the Democrats Matter?” Sadly, yes. Leftists fiercely resist the efforts of the Trump administration and the GOP majority to reclaim America’s promise. CPAC is the place to be if you want to be part of that reclamation effort. With its impressive roster of speakers, plethora of workshops, and countless networking opportunities, we can all become better-informed participants in the public arena. CPAC has posted its current conference agenda (subject to change), and its roster of speakers contains (as usual) many heavyweights, among them: the President and Vice President of the United States, governors, senators, congressmen, talk show hosts, and members of the media. At CPAC, you can learn about and become connected with virtually any aspect of the conservative movement. Moreover, you can discover the various forces currently at play as America adjusts to the new Trump Era, which is surely not an era of good feelings. How will Americans navigate the various political, cultural, economic, and international currents and storms extant in 2017 and beyond when we remain a nation starkly divided by ideology and culture, and even confused about own American identity? 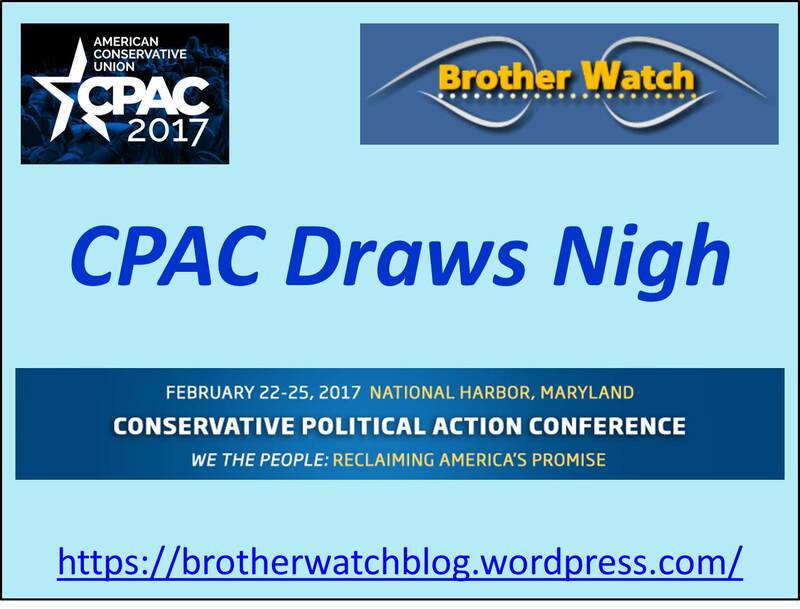 CPAC is poised to provide some answers. One thing is for sure: We can expect both fireworks and fun. This entry was posted in Uncategorized and tagged America First, American identity, cpac, Donald Trump, Make America Great Again, Mike Pence, Reclaiming America’s Promise, We the People on February 21, 2017 by BrotherWatch. Donald Trump’s presidency began with a bang. Leftists hated his words. And they will hate his actions even more. Trump actually puts America First! – and the Left has gone bonkers. Leftists recoiled in reactionary horror. Trump has tapped into a patriotic fervor which terrifies the Left and exposes its anti-American values and anti-democratic impulses. 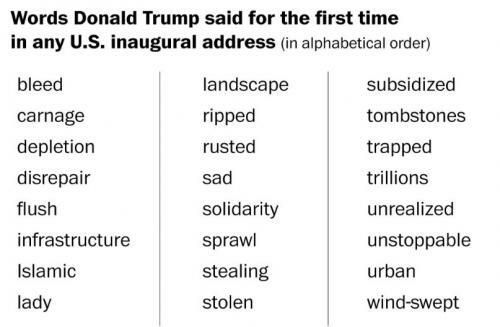 Trump’s inaugural address was short, a mere 1,459 (powerful) words. The longest address, at 8,460 words, was given by William Henry Harrison, who died 31 days later from complications due to pneumonia. Franklin D. Roosevelt’s fourth address was the shortest at a meager 559 words. In his address, Trump drew a line in the sand – a demarcation line between patriotism and globalism, between national sovereignty and cosmopolitanism, between American exceptionalism and obeisance to a New World Order. Trump posits American primacy and polity above international diplomacy and appeasement. And Americans love it! Charlie Kirk observed, “Donald Trump’s speech used the word ‘we’ 45 times and the word ‘I’ three times,” suggesting Trump’s ego may succumb to his new role as Commander-in-Chief. Responses to Trump’s inaugural address varied: hysterical fear from the Left, jubilant enthusiasm from the #AmericaFirst crowd, and cautious optimism from formerly #NeverTrump. Many deplored Trump’s use of “carnage,” a word wholly appropriate and accurate in describing the violence in America’s Democrat-run metropolitan areas. Trump testified to the blunt reality many Americans face from inner-city violence, race riots, terrorist attacks, and the consequences of the massive influx of illegal aliens. Snowflakes want the whole world to be a safe space. Normal people in the real world want freedom. The most jarring moment for me was in Trump’s salutation: addressing and thanking, among others, the “people of the world.” That phrase, reminiscent of Obama’s “citizen of the world” rhetoric, ran counter to Trump’s America First! theme. 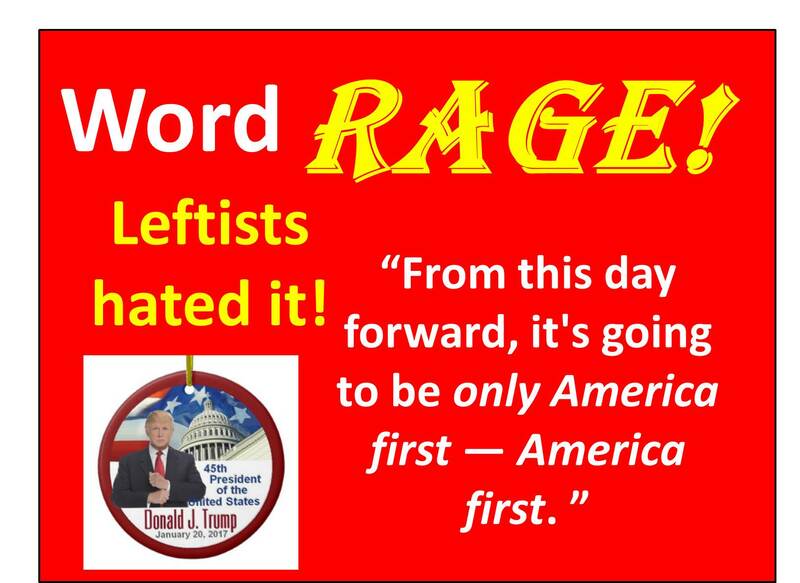 Trump’s appeal to the hearts of Americans – America First! –is neither unhealthy nor immoral. Nevertheless, Leftists responded in typical fashion. Blue Virginia offered up an inaugural word cloud showing the predominance of America, American, country, and people in Trump’s speech. Even Bill O’Reilly called Trump’s speech “militant.” But it’s only divisive or militant if you disagree with the content. What does “America First!” mean? Is it a nefarious plot to create a racist authoritarian state? Does it inspire national hubris? Or is it a response to the anti-American ethos of so many of America’s political, cultural, and economic elites? In reality, American First! is both populist and conservative. It is populist in that it is popular with the average America-loving American who believes in American exceptionalism, American values, and American ideals. And it is conservative in seeking to restore and preserve the best of what America was and can be. How will Trump translate his words into actions? Trump proclaimed patriotism, protectionism, and nationalism. Patriotism and healthy nationalism are good things. Protectionism is not. Unfortunately, in being America First!, Trump misapplies some American principles. His protectionist instincts are counterproductive and contradict the very principle of liberty upon which America is based. Free markets deserve to be free. Liberty necessitates the free exchange of ideas and of products. Moreover, America is not an island and must not become isolationist. Evil was allowed to fill the vacuum left by Obama’s retreat from world affairs. Obama’s “leading from behind” failed abysmally. Absent an American presence of strength in the world, evil will continue to grow and thrive, inevitably becoming an ever clearer and more present danger to this nation. Nevertheless, our new president’s prioritization of American interests at the head of the queue is both laudable and a necessary course correction from the previous administration and decades of progressive dominance in politics. For a strong America, we need to restore and strengthen the American identity, American values, American ideals, and American independence. This entry was posted in Uncategorized and tagged America First, Donald Trump, God Bless America, hate speech, identity politics, immigration, inauguration, Leftism, liberalism, Make America Great Again, nationalism, pathology, political correctness, POTUS, progressivism, snowflakes on January 31, 2017 by BrotherWatch. Donald Trump’s inauguration is hours away and the Left remains stupefied. The Left remains stunned by Hillary Clinton’s defeat. (Snowflakes are melting.) Her defeat, and Obama’s legacy, augur ill for the progressive agenda. From Obama and Hillary to identity politics and bumper stickers, the Left is in need of not just a new messenger, but a new message. Hillary, the worst candidate Democrats could have nominated, lost to the worst GOP candidate ever. To whom did Hillary lose? Donald Trump. Trump was extremely unpopular; Hillary even more so. What was Hillary message? She as going to out-Obama Obama. 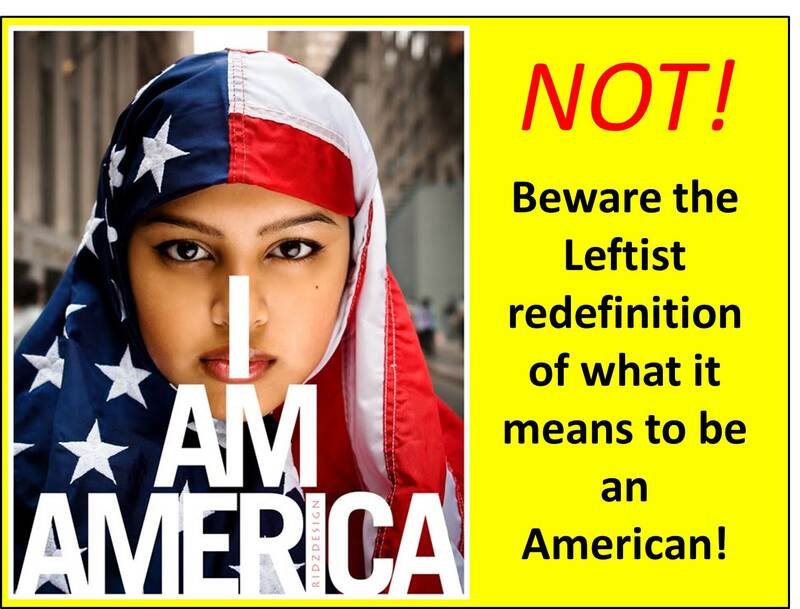 America has rejected that agenda. The Left has become straightjacketed by the identity politics for which both Obama and Hillary are poster children. The Year of the Woman failed in 2008 and 2016. Appealing to voters on the basis of race, gender, and class is becoming increasingly counterproductive. Hillary and the Left lost in large measure due to the politically cancerous identity politics it is obsessed with and which taints everything the Left does. 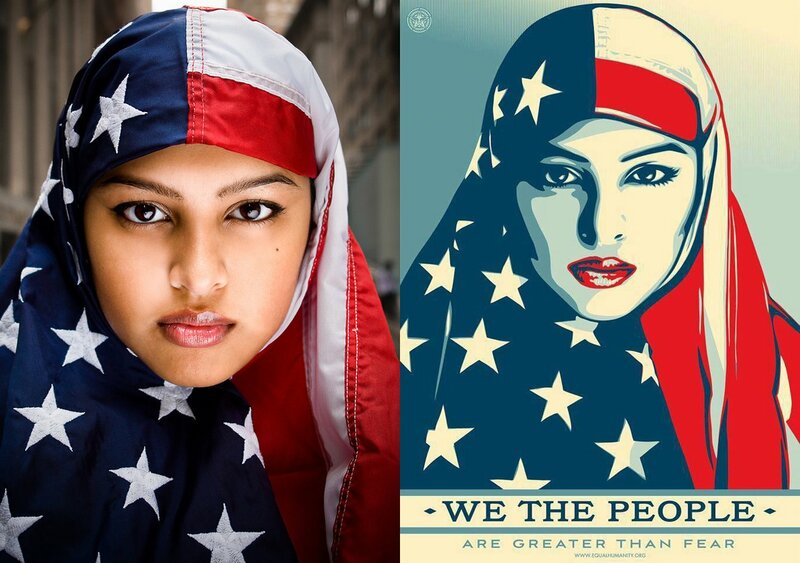 The Million Woman March slated for the day after Trump’s inauguration epitomizes the nonsense that permeates the Left. Organizers for these protests in the name of all women actually exclude those who are neither liberal nor pro-choice. They also reject white women, claiming their oppression is significantly less than that of minority women. Heather Wilhelm notes, “There are many different types of oppression, intersectional feminism teaches – based on race, class, sexual identity, and more that layer upon each other. 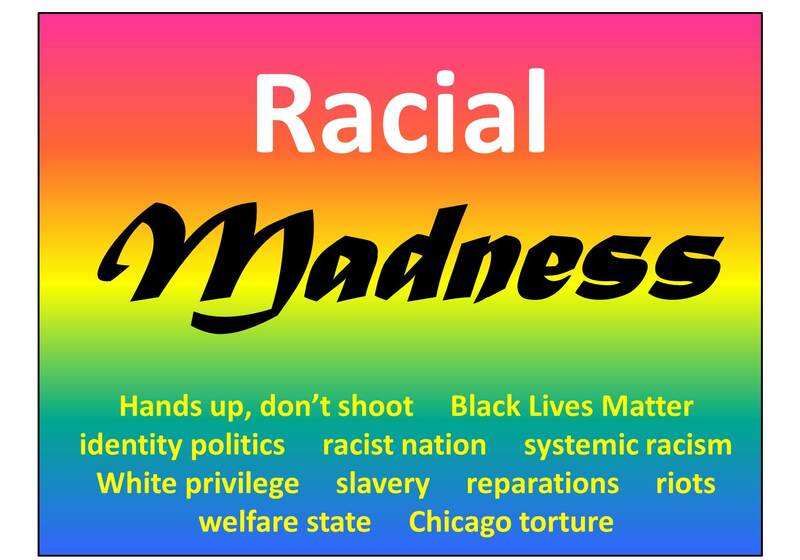 In the world of intersectionality, victimhood is sorted by category, tallied, and ultimately ranked.” Sounds a lot like those good old days of apartheid in South Africa. “Apparently, at this point,” writes Wilhelm, “the way forward involves a cavalcade of left-wing causes – abortion, as usual, is taking top billing – buckets of vague platitudes, lots of hectoring, and endless, obsessive, identity-based infighting.” As usual in situations like this, the loudest bully wins, kind of like in Lord of the Flies. Progressives are always seeking progress – moving forward. Hence their disdain for tradition, especially in traditional values, religious beliefs, and patriotic fervor. For them, we must get beyond the foibles of nationalism and embrace a globalist citizen-of-the-world ethos. But progressives also like to anchor their progress and their victories in hero worship. Hence their love for political dynasties. Leftist admiration for political dynasties is particularly undemocratic and peculiarly foreign to the precepts upon which America was founded. (Remember the Declaration of Independence?) Once leftists have power, they are loathe to give it up. In the 1960s, the Left dreamed of a Kennedy dynasty (John, Bobby, Ted). Now they fervently desire an interwoven dynastic reign by Obamas and Clintons. One bumper sticker encapsulates this self-destructive pathology on the Left. 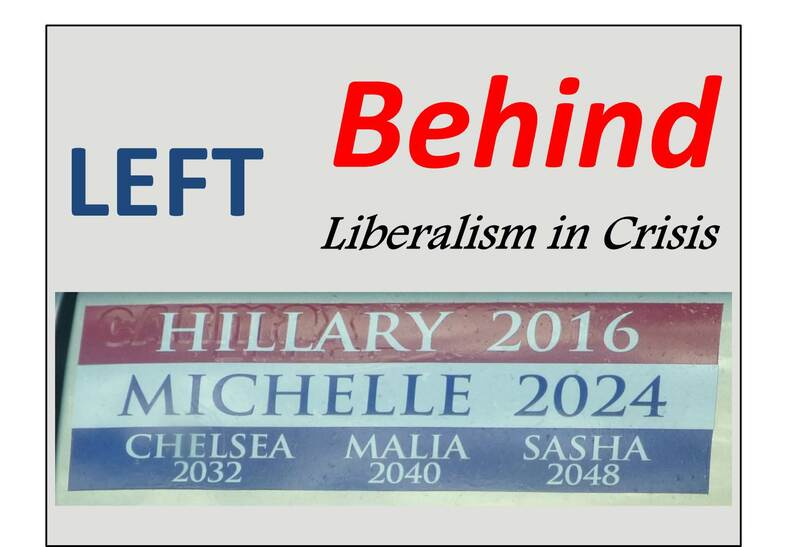 It read: Hillary 2016, Michelle 2024, Chelsea 2032, Malia 2040, Sasha 2048. What qualifies any of the (exclusively female) names on this list to be President of the United States? Hillary’s singular accomplishment was to be more hated and less trusted than Donald Trump. HillaryCare bombed during her husband’s first administration. She was a lackluster senator and an abysmal Secretary of State who presided over the collapse of stability in the Middle East and the mushrooming of Islamism. Her singular achievement (apart from Benghazi and her secret email server) was setting a Guinness world record for frequent flyer miles. Michelle Obama is indeed accomplished – at decimating public school lunch programs across America. What are Chelsea Clinton’s accomplishments, credentials, and qualifications to be Commander-in-Chief? She received “an eye-popping $600,000 annual salary for an irregular stint as an NBC special correspondent.” Yes, she’s a “political heiress” engaged in crony capitalism. Finally, in case it escaped anyone’s notice, Malia and Sasha Obama are children! What do all these wonderful people have in common? 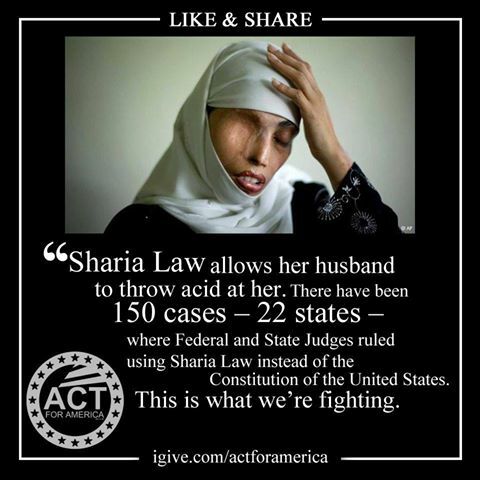 They are all women and they all share the name of Clinton or Obama. Obama’s legacy is unravelling even as Trump prepares for his inauguration. Hillary’s political ambitions are effectively dead. Nancy Pelosi (D-CA) has again become her party’s standard-bearer in the House. Leftists continue to pursue their leftward momentum even as most Americans reject their policies. This entry was posted in Uncategorized and tagged Barack Obama, Chelsea Clinton, Donald Trump, Hillary Clinton, Hillary legacy, identity politics, inauguration, John F Kennedy, Leftism, liberalism, Malia Obama, Michelle Obama, Nancy Pelosi, Obama legacy, pathology, political correctness, political dynasties, POTUS, progressivism, Sasha Obama, snowflakes on January 19, 2017 by BrotherWatch. The Chicago police refused to call it a hate crime. When is a hate crime not a hate crime? When its committed by blacks against a white male. In related news, a university professor tweeted “All I Want for Christmas is White Genocide.” This professor remains employed. Barack Obama promised racial healing in America and racial tensions reached new heights under his presidency. Phony Black Lives Matter narratives filled the airwaves, Internet, and social media. Some of these narratives (e.g., “Hands Up, Don’t Shoot”) have been proven totally false, yet they retain a visceral power which overwhelms reason and reality. From Ferguson to Baltimore and across the nation, Black Lives Matter propaganda has destroyed communities and created chaos. Rather, some blacks are victims of a fifty-year-old War on Poverty and a welfare state which has become the new plantation – created by Democrats who treat them as children. The paternalistic state gone awry. The welfare state – not white racism – has created generational poverty, generational broken homes, and a cultural of dependency justified by allegations that blacks are victims of white racism and the legacy of slavery. Consequently, perceiving themselves to be victims, many feel entitled to whatever they can get from the government, becoming dependent upon that government. With it, comes rage against the injustices they perceive have been perpetrated against them. And with that comes a culture of irresponsibility. Contemporary dysfunctional black communities are not rooted in America’s founding. Rather, one need only look to Lyndon Johnson’s Great Society and subsequent iterations of the welfare state and the adoption of progressive policies and political correctness to see the development and escalation of dysfunctional pathologies in some black (and a growing number of white) communities. Kimberle Crenshaw writes about passionate “white opposition” to a formal apology for slavery (neglecting to mention the many blacks who oppose it as well). While citing their objections (in her terms: “personal denial,” “finger pointing,” “traditional historicizing,” and “new-age globalizing”), she fails to refute any of those arguments. She doesn’t even try. Instead, Crenshaw questions the motives of those opposed to an apology, saying it “reflects a deep unwillingness to desegregate American history and to integrate American self-identity.” Self-flagellation is not my self-identity. Crenshaw accuses the right of explaining away the black underclass as a result of “inherent characteristics.” Wrong! The right recognizes that the welfare state promotes self-destructive behaviors and the underclass is enslaved to the welfare state. Let’s forget apologies and free the underclass. Crenshaw desires “historical closure.” Most Americans have experienced “closure” with past slavery. Constantly tearing at the scab only causes the wound to bleed. Par for the course, Crenshaw criticizes America’s Founding Fathers for expressing the ideals of liberty for all while condoning slavery. No one disputes the divergence of these ideals and their implementation. Crenshaw insists that whites – and American culture itself – are in a state of denial about slavery (and other historical atrocities). Denial? Our cultural elites positively revel in past American misdeeds (while glossing over our triumphs and glories). Is Crenshaw really suggesting that Americans are denying historical slavery? Is she subtly suggesting a moral equivalence between this perceived denial and those who deny the Holocaust? Tragically, while her ancestors may have been enslaved in chains, Crenshaw (and others) have enslaved themselves to the past. She desires “a reopening of American historical memory,” as if anyone could “forget” American slavery. She wants an acknowledgement of America’s “tragic mistakes” but Americans have already acknowledged them. We are fast approaching a new millennium. Isn’t it time to put the past behind us, to let the wounds heal, to live for the future? Until we do, this schizophrenic identity crisis will only exacerbate the already tumultuous times we are living in. This entry was posted in Uncategorized and tagged #BLMkidnapping, all lives matter, apology, Barack Obama, black lives matter, Chicago, David French, denial, Founding Fathers, George Ciccariello, great society, hate crimes, Holocaust, Kimberle Crenshaw, Lyndon Johnson, MSNBC, racial grievances, racism, reparations, root causes, slavery, welfare state, white genocide, white racism on January 6, 2017 by BrotherWatch. The magic of Christmas is new every Yuletide. It is truly the most joyful (enduring and endearing) season and, indeed, The Most Wonderful Time of the Year. Such is its impact in our lives, our communities, and the world that people around the world often begin preparing for it months in advance. Christmas trees, lights, decorations, gifts, and music – these all attest to its significance for humanity and to mankind’s desire for the peace and joy that only Jesus can bring. Christmas isn’t magic, though it is magical. Christmas is a birthday celebrating the miraculous birth of Jesus into the world as a Babe in a manger and also His birth into our lives. Christmas music is invariably joyful – Joy to the World – because Jesus was born, sacrificed himself for us, and offers us the incredible gift of inviting us to live with Him forever in Paradise as His brothers and sisters. Jesus truly is the reason for the season. Two millennia ago, shepherds and angels proclaimed the miracle of our Messiah’s birth. Heaven and nature has been singing ever since. Let us join our voices to that heavenly chorus. 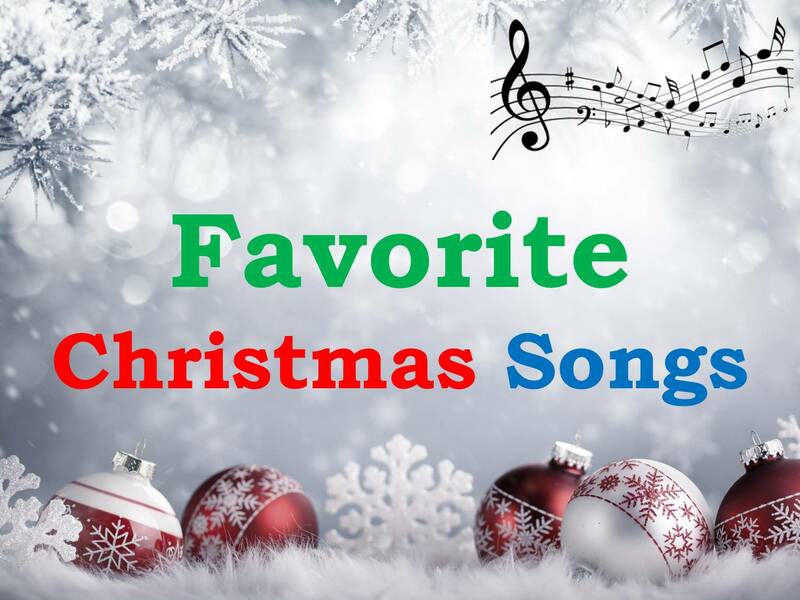 Here are a few of my favorite Christmas songs (a few with multiple versions). Mary, Did You Know? Pentatonix https://www.youtube.com/watch?v=ifCWN5pJGIE. This entry was posted in Uncategorized and tagged Bethlehem, carol, Child, Christmas, Emmanuel, hymn, Jesus Christ, Joseph and Mary, nativity, Nazareth, Noel, Prince of Peace, Redeemer, Savior, song on December 24, 2016 by BrotherWatch.